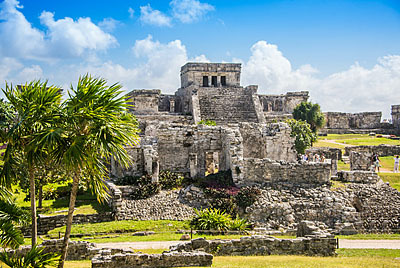 If you are interested in knowing not only the ruins, but also the culture and life of modern Maya, you should do this tour. This tour begins afternoon, a good choice if you have other activity earlier. You will be picked up in your hotel or near point around 12:30 pm and drop off around 9 pm. 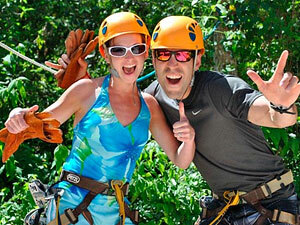 Our tour starts passing by all passengers from 12:30 pm - 2:00 pm in the lobbies of most hotels in Cancun and Riviera Maya. Once were all on board, depart to Coba without stopping. 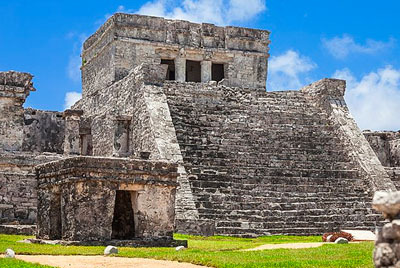 - COBA ARCHAEOLOGICAL SITE (3:00 PM-5: 00 PM): Live a unique experience in which we approach the art, archeology and mysticism of the Maya. Through a guided tour through the trails of the archaeological site of Coba, meet the remains of one of the largest pre-Hispanic cities in Mesoamerica. At Coba you will have the chance to climb the tallest pyramid in the region and enjoy the unforgettable views of the towering forest that surrounds it. - MAYA POTTERY WORKSHOP (5:00 PM - 6:00 PM): At the end of guided tour of the site, participate in a Mayan pottery workshop in which children of different ages participate in the rescue of one of the oldest traditions of this great culture: the Pottery, using the mud of Lake Coba . - DINNER IN FRONT OF THE LAGOON Enjoy the sunset (6:00 PM - 7:00 PM): The regional cuisine could not stay out of this experience is why we have prepared for you a delicious typical dinner, while enjoying the sunset view on the reflection of the lagoon. To end this expedition will be our guest to a performance of excerpts from the Popol Vuh and Chilam Balam, Mayan spoken native artists and musicians who will call us a passage from the sacred book Popol Vuh and Chilam Balam, in which the mythical divine twins defeat the lord of the underworld in the ball game. * Features original designs costumes, dialogues in Maya, live music and game ball. The setting is a magical open cenote. Dinner at palapa overlooking the lagoon Coba, includes: salad fresh, regional food dish (or Chicken Cochinita Pibil), rice, beans, spaghetti, sauces, bread and tortillas, fresh water (Jamaica, tamarind and purified water) Homemade flan or fruit salad for dessert. Bottled soft drinks or alcoholic beverages during the excursion and dinner. Dinner is served between 5:00 and 6:00 pm. so it is recommended that visitors take their food from noon before the trip. Wear comfortable shoes for travel and trek in the jungle. Extra cash for souvenirs, tips, or additional consumption in the restaurant.